Mina almost always has a pair of headphones around her ears, so much so that it's quite difficult to know when she's listening to conversation or music... She also looks frail despite her actual weight. Mina is the type of person that, despite everything, people are drawn to. She's rowdy, sarcastic, and doesn't respect anyone's personal space. She's also the type of person who's phone is constantly buzzing from texts and calls, but has a contact list with no one's real name in it, only nicknames the people probably don't even know she's given them. She often teases others, even strangers, and seems to make friends or companions very easily. She isn't afraid of crowds or making a spectacle of herself or someone else. Often, she'll purposefully make others uncomfortable for her own amusement and wastes no time in figuring out how others tick in order to... amuse herself with making their own lives more interesting, for lack of a better word. She always carries a mischievous smile, and never seems fazed by hurtful words or insults. Instead, she's quick to retort with words of her own that are equally as sharp and cut people down a few pegs. She's great at analyzing others, and her quick judgments are usually fairly accurate. With this, she also does well at reading body language and more silent communication, like facial expressions. Simply put, she'd make an excellent police profiler or similar career if she actually took any of it seriously. She doesn't handle darker emotions like turmoil or loathing very well, and will bottle them up as much as she can in order to not break the facade she's put up for herself. She vents through music, whether it's singing and playing it or listening to it, and doing this is usually enough to get the emotions out without hurting others. Before she can, however, she'll often have a short fuse with little control over her usual mental filter, so her words will become harsh and snappy, preying onto the weaknesses she's gathered from people's actions or body language. When she lashes out at others, she lashes hard... usually resulting in her saying something she'd greatly wish she hadn't. However, these things are almost always ultimately true, and she's been kind enough to hold them back before she snapped. Her sinister smile rarely falters, and she's expressive in her own sly style, almost like a snake in her actions. She's never quite polite to others, and does whatever she feels like around them, especially if she sees that it bothers them. If it's clear that they don't approve of how she goes about things, she'll do it even more just to get a reaction out of them. She greatly enjoys ease-dropping on conversations she's not a part of, and will often then bring snippets of that conversation up to that person just to see the surprise on their face and the wonder of how she possibly came across that information. She finds life more fun this way, if none of it is taken too seriously. All of her actions are for her own amusement, and she never means harm in anything she says or does. In her own way, she feels as if she's doing that person a favor somehow, a favor they'll probably never realize she's done, but one nonetheless. As stated, she never quite maintains a respectable distance when interacting with others. She'll say and do things she's quite aware will either make them feel awkward as hell or get some sort of reaction. She does watch her tongue most of the time, but that doesn't mean that she holds back in her sarcasm or teasing, even toward completely strangers. She interacts easily, and has even joined a group of strangers in a Mall and somehow walked out knowing almost everything about them as well as their phone numbers. Once acquainted, she's not afraid of asking them for favors or taking advantage of their skills to her own advantage. Well, what's the point of making friends of they don't help you out? She's also great with animals, not minding getting rowdy and playing with the more hyper ones or being gentle with the older pets. She's never met an animal that's not eventually come to like her, though bribes through food usually did the trick with anything. She does have clear morals when it comes to the law, except for speeding, of course. She likes to give others the benefit of the doubt, though, and assumes everyone follows the same morals as she, even if that person has some sort of stigma attached to them and she's aware of it. Judging others is something she's in charge of, not some rumor or the word of another person. She's witty and sarcastic and can find a joke in almost anything, so her sense of humor can be described as, well, anything. If she looks hard enough, any situation has some sort of humor attached, even the most dire. She wants to laugh in the face of death, not cower. By the way she acts toward others, she has nothing that typically gets under her skin, so it's hard to do to her what she does to them. Despite all of the crap she gives others, she's always felt a companionship with anyone who can put up with her, and the more she gets on their nerves, the more she likes them. She can be seen as lazy when it comes to work, as is the life of a carefree musician. If its work she doesn't need to do, she won't volunteer. Similarly, she's the type to do the bare minimum if she can get away with it, and only ever seems to put an effort into music. Mina has an excellent, well-rounded memory. She can easily remember personal information, snippets of conversation she's both been a part of or listened to from a distance, and she never forgets a face. Due to her making minimum efforts in things like school, she can recall odd facts or basic lessons, but she never quite put her memory to good use information-wise, so she's not that skilled at being what she calls 'an IQ flaunter'. She's afraid of rejection, of others seeing past her cheerful and sly facade to see a girl that feeds on the acceptance of others. She hates being ignored or cast aside and is always afraid of the fact that others may think negatively of her. She's quite good at hiding this, though, and even if rejected, she'll just laugh it off but put a much greater effort in order to gain that person's acceptance. She enjoys the night and darkness much more than the light, so much so that her house can be compared to a vampire's den. This is how her nickname came about, as well as her name's inspiration coming from a certain famous Bram Stoker book. If she's alone, she never turns any lights on. She always has her electronics dimmed to as low a light as they can go, and often can't stand seeing others using them at glaring brightnesses. She likes to see herself as a wandering street musician, so her main focus and priority lies on playing music on her trusty guitar as well as singing. She doesn't have many other things to do beside it. She's not superstitious, and often teases those who are by purposefully walking under ladders or opening up umbrellas indoors. She loves animals, especially dogs, and can often be seen feeding birds or taking her husky for walks. 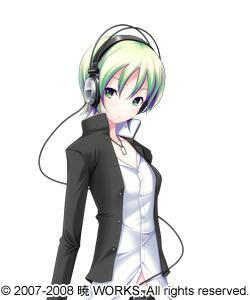 Second to that is her love of music, particularly the rock genre. She also grows a strange attachments to her electronics, and can be considered a hoarder of old computers, game systems, and headphones despite owning the bigger and better versions of each and rarely touching the old ones. She's most comfortable on a chilled, dark night staring up at the stars and the moon, listening to music. She enjoys salty foods like french fries and chips. She dislikes glaring lights, extremely bitter tastes, and extreme temperatures. Mina would love to be a rockstar one day, or at least start a band that actually plays for crowds. With her knowledge of being Midna's successor, however, she knows that it's a dream that'll probably never come true due to her own obligations to use her abilities to help others while remaining out of the spotlight as someone who can do what she does. She was taught to hide her powers unless absolutely necessary to use them, and it was drilled into her mind to fear people who also come from bloodlines. This fear stems from her shaky title of Twilight Princess and the fact that others may want to use something such as that to their own advantage and attack Mina because of it. As a side-effect of this, she sometimes fears her own powers or what her role in the world might end up being. She's focused on honing her abilities and learning how to use them better or develop new techniques. Despite being out of her control, she sometimes regrets the fact that she was the one who succeeded Midna, as it was never the life she wanted. She wanted to escape Kondo, do bigger and better things, but the awakened powers makes it almost impossible for her to do so. She's meant to stay, to play her part in whatever sick game is thrown at her. She has great musical talent, and her ability to read people quickly and effectively are her greatest strengths. Her social skills are good as well. The resentment toward her role is her greatest weakness, as well as the feeling of being trapped inside the city. Her need to be accepted by others also plays a role in her weaker points. Mina grew up as an only child in a family of a decent amount of wealth. It was never anything to flaunt, but it was enough that they were able to finance a small house for her to live in once she was of an age to decide to move out. Most of the money was old family money, slowly depleting over many, many years of bad investments or ignorant spending on the part of some of her many uncles or distant family members. Luckily, her immediate family seemed to keep their money somewhat safe from the rest. From an early age, she was aware of tension between her Mom and her aunts and uncles due to things she couldn't quite understand at her current age. Whenever they visited, they often went off to a room to discuss 'adult things' away from the children. Mina never minded, though, because it meant that her cousins were also visiting and they were able to socialize and play their own games. Then, at the age of 10, Mina was finally given some insight as to what was going on. Once she was back from school, she noticed her Mom being more serious than usual. She was sat down in the kitchen, and was told for the first time that she had the possibility of being a princess of all things. She was still young and didn't pay much mind to the details, something about bloodline and time of succession and awakening. This was the reason the families feuded so much with each of the cousins caught in the middle of it. 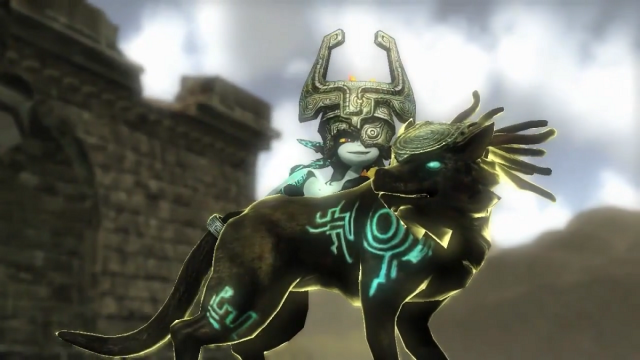 It was a status thing, not knowing which kid would awaken as Midna's successor. She never took it seriously at the time, but it did have an effect on her life. She was suddenly expected to act more proper, take school more seriously, and begin to learn how to view others. This was a tough time for her, and she didn't take the demands of her parents very well. Instead, she began to listen to music, rock music. This then inspired her to save up enough of her allowance to buy a guitar and teach herself to play. It was rocky at first, but it helped her put up with the expectations that were now laid out before her. As she aged, she began to learn more about the nature of succession, about the dangers it could present too. Her parents had given up on trying to make her a model citizen, and it was clear that she was the opposite of anyone who could think of them-self as royal. She was mischievous, even called a rebel by her Mom. They had all given up on the chance that she'd possibly be what they hoped she would be... but then, on the eve of her eighteenth birthday, it became clear who the successor was. Mina was playing with Harvy as normal... until he was hit by car. Through the devastation, Mina had rushed into the road and picked up her limp friend, crying as she did so. She brought his bleeding body to their back yard, knowing there was too much damage to possibly have a vet safe him. She wanted to spend their last moments together with just the two of them, considering she had been the one to raise Harvy from when he was only a couple weeks old. Energy suddenly surged from her hands and enveloped the dog. It changed his appearance into something she'd never seen before. He was enveloped in a black energy, with strange blue runes glowing against such a dark shade. Shocked, and with wide eyes, she watched the energy slowly fade, revealing Harvy's wounds to be much less severe than they had been. He wasn't completely healed, but it was enough to take him from the jaws of death, enough to allow him to recover under Mina's watchful eyes. After this event, Mina began the less than ideal process of putting up with her family's expectations while trying to pursue her own interests. She developed her powers, learned of succession, and studied how to discern friend from foe, how to make snap judgments that could mean life or death. With her age, though, she decided that she'd do her own thing. Though they protested, she convinced her family to let her move to her own house, and she took Harvy with her. Now on her own, she still practices both guitar and magic in a world where most people lay unaware that creatures like Midna had actually existed. Technically the next Twilight Princess, Mina is far from that. She's just a girl with a guitar who loves to mess with people. Well, that's what she wants to be, anyway. Harvy is a purebred Siberian Husky about the age of two years old. He has the typical markings and colors of his breed and big, fluffy fur. His tail is curved and bushy, and he almost always seems to be grinning without a care in the world with his tongue lolling out the side of his mouth. He stands at about two feet at the shoulders and has a narrower head than typical to his breed. He's a solid fifty pounds and in good health. His eyes are a startling icy blue and he's quite muscular and fit. Harvy is an easygoing and friendly dog. He's not quite well-mannered and will often jump up onto people or force his way onto their lap whether they want him to or not. He's also not shy about begging for food and looking cute for the sake of getting table scraps. This is done so much so that he has Mina wrapped around his theoretical finger and he typically gets at least a little of whatever she's eating at every meal. He's not territorial nor aggressive toward strangers, but he can get protective over Mina if he feels as if someone poses a threat or raises their words toward her. He loves the outdoors as well as the cold, and snow is the greatest thing in the world to it. He'll romp around in clear days, pouring rain, and especially thick, snowy days. He prefers air conditioned indoors on scorching hot days, though, much like his owner. He enjoys going on walks or running after tennis balls, but he also enjoys being chased, so it's a gamble if he'll actually return the ball or make you catch him for it. He's quick to accept strangers and loves the attention of anyone who's willing to give him a belly rub or treat. He rarely strays far from Mina, and can experience separation anxiety if she leaves the house for too long without him. He'll even occasionally bark enough to upset the neighbors, so Mina usually allows him to follow her on errands and trips. He's trained enough to not need a leash, and only seems to ever listen to Mina if she uses a strict enough tone. Call of the Twilight Wolf: For about an hour at most, she has the ability to transform her dog Harvy into a creature of Twilight with an appearance similar to [this]. While in this form, Harvy gains strength, agility, and heightened senses. His abilities are similar to that of Wolf Link's. This technique may also have a similar effect on a descendant of Link if the right conditions are met. Dream Illusions: This ability allows her to create a vision in another person's mind, though the person will be aware of the induced dream of sorts. She can use this to give them visions of what she wants them to see, as Midna once did to Link when regarding the state of his friends. Pocket Dimension: She can take things such as weapons and other small objects and store them in a pocket dimension of sorts until needed. They'll disappear until needed, and reappear at will. This cannot be done to living beings nor large objects such as cars. Twilight Portals: The creation of Twilight Portals allows her to teleport things, herself, and people from where they currently are to an opened one. For anonymity's sake, she rarely allows them to appear in places they may be seen. At the moment, she only has the power to transport herself and one other person at a time and must be in a location in order to open up a new portal there. She doesn't yet know how to transport objects larger than people without them being destroyed in the process. Final Technique: Unknown and undiscovered. Owned Weapons: Kitchen knife, kept in her pocket dimension... just in case.